Wellness Over 40 is a blog that discusses how to maintain wellness past age 40 by focusing on health, exercise, stress management, yoga/meditation, mental stimulation, emotional satisfaction, and good food. Summer is often a time of clearing out the old, going through attics, clearing cottage relics, selling off contents of family estates, or just clearing out one's mind to find something new again. 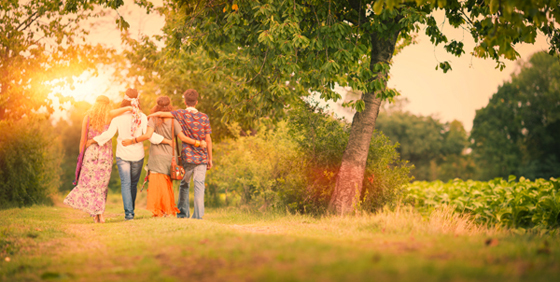 One of the best summer strategies in cleansing out what's old and renewing your energies with new inspiration is to return to what you loved before you reached adulthood. There lay hidden, unmined and often unrealized passions and dreams. If you touch back on something you experienced as a teen that was not quite of this world, you can probably absorb it now and make it work positively in your life. Since Vivaldi invented ritornello form where the theme keeps returning to the main line, returning to his music now seemed very understandable. That is what happened with me and Vivaldi's Double Violin Concerto in A minor, Op. 3, No. 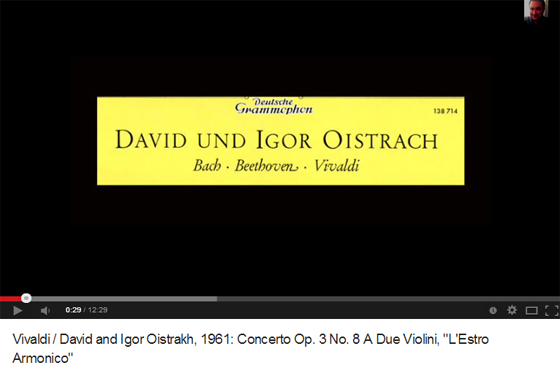 8 in the recording by David and Igor Oistrach. This recording informed several of my early teen years, rehearsing a ballet competition quartet at age 14, riding bikes and soaking blistered toes from pointe shoes, and watching our ballet choreographer translate Vivaldi's sustained phrasing into 8 outstretched arms reaching across the room horizontally in a perfectly-balanced continuum. 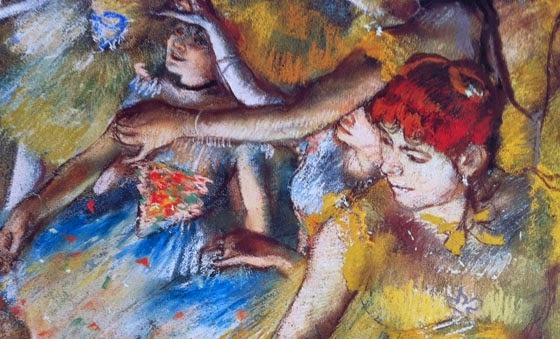 How, as young dancers, we wove and intertwined like leaves with golden ribbons and bent torsos - then back to the continuum on which all things in life rest - not quite of this world. If wellness is about maximizing natural health within the framework that we've each got, what could be of more value to it than a perfect teen influence that had been folded into the recesses of the subconscious? What Is It In Vivaldi That Is So Uplifting? Embracing the Platonic classicism of baroque music enriched our ballet quartet then as much as it does now. What is it about Vivaldi that is so uplifting? Well, Vivaldi was a priest and worked in theatre, for starters. He worked extensively with tonalities in all of the music he wrote for different instruments. According to James Leonard, Vivaldi transformed music of his time. "Preceded only by a set of Trio Sonatas in 1705 and a set of Violin Sonatas in 1709, Antonio Vivaldi's first published set of concertos, called "L'estro armonico," was the most influential and innovative collection of orchestral music of the first half of the eighteenth century. "L'estro armonico" (roughly, The Genius of Harmony) was published as his Op. 3 in Amsterdam in 1711 by Estienne Roger and quickly completely changed the form from the more weighty Roman model of to the lighter Venetian model of Vivaldi." There is something easy about building and sustaining wellness when Vivaldi speaks to the calm of self-knowledge. This recording of Vivaldi offers the clarity of an order that helps us to feel calmness and peace. Its soaring with perfectly balanced violin lines blending in harmony is not easily forgotten. Revisit Your Own Idealism to Handle Work Stress What are the best ways to handle stress as a baby boomer still dealing with demanding clients, high-pressure days and daily operation in the thick of the rat race? When your kids are grown up, when bar-hopping after work with colleagues is too unhealthy an option, and when retirement is not in your plans any time in the foreseeable future, how do you unwind? The answer may be to revisit who you were at 15 or 20. The seeds of old dreams are still there, sitting in time capsules waiting to be opened and reclaimed. The difference now is that you can actually pursue them. Have you ever walked just outside a city's perimeter where the air is so fresh that you feel dizzy? At Leslie Spit/ Tommy Thompson Park on the waters of Lake Ontario, it is possible to completely escape the air pollution of 3-million strong Toronto just a short distance away. You are literally on the water looking into the city from across a lake. The fresh breeze that blows across the lake feels fresh and pollution-free. 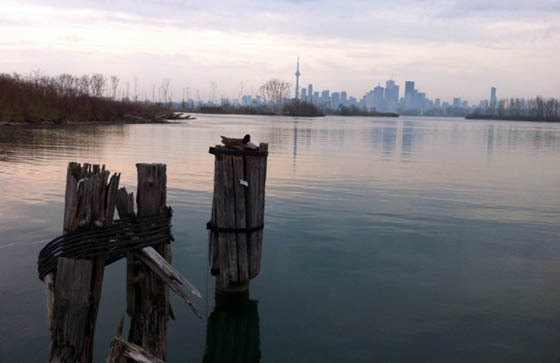 Tommy Thompson Park is a former dump site that grew into a wildlife bird sanctuary on an isthmus in Toronto. It is entirely human-made. As described in its history, "the natural processes that evolved during the long construction and planning of the site had shaped [the park] into a truly "accidental wilderness". A map from toronto-wildlife.com shows where the park is situated in relation to the City of Toronto.